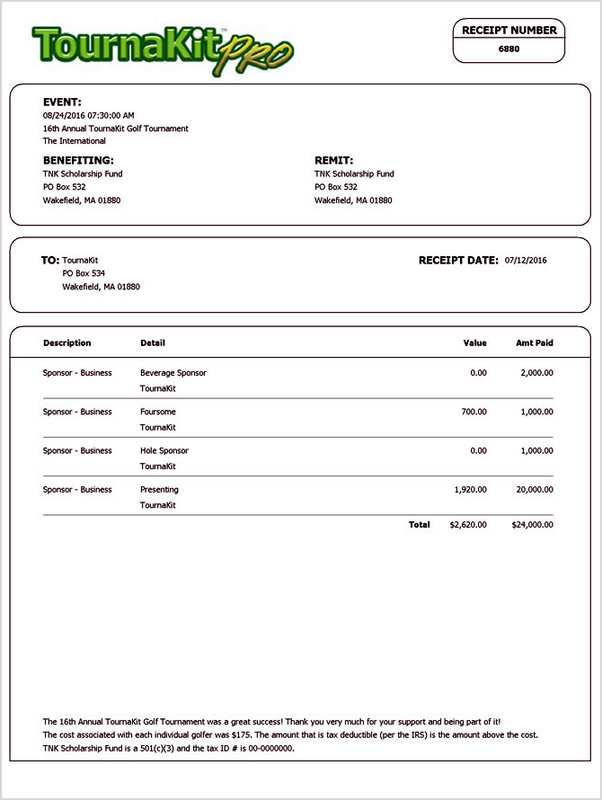 Create event specific sponsor packages and automate tax reporting, document production, invitations, lunches, and dinners. 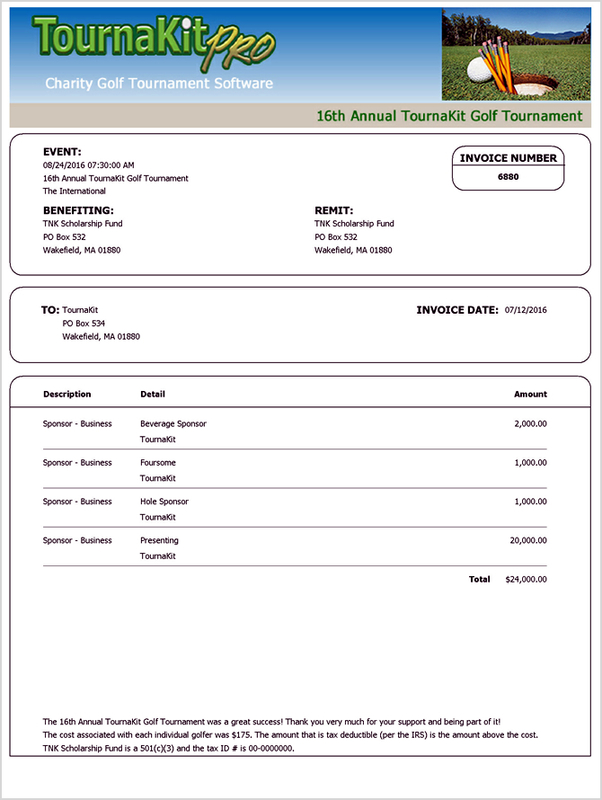 Event specific sponsor packages provides a system for reliable financial reporting through out your event. 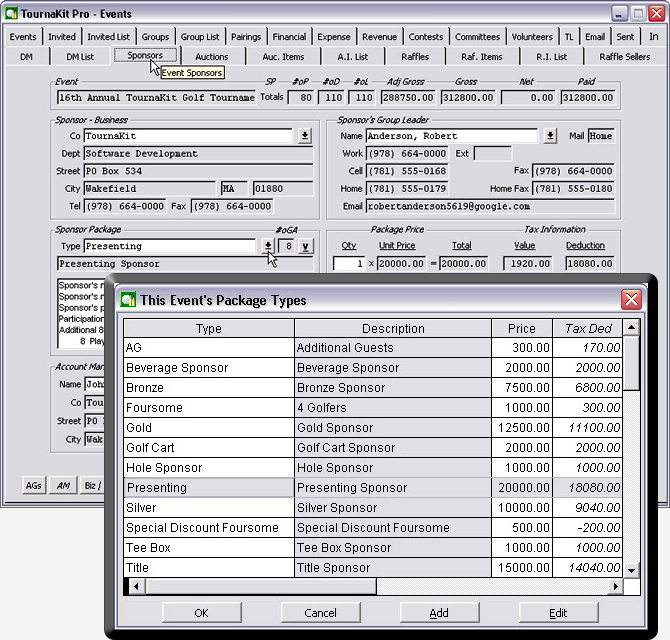 The total Package Value is automatically calculated and applied against the Package Price for the available Package Deduction. 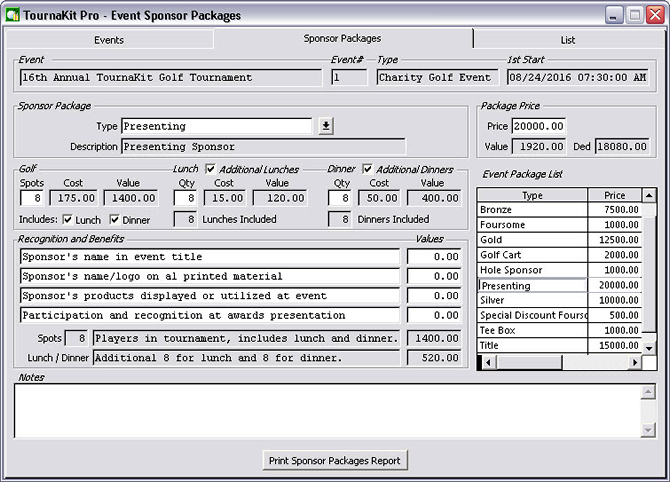 The Sponsor Packages are used as a pick list when adding sponsors to your event. 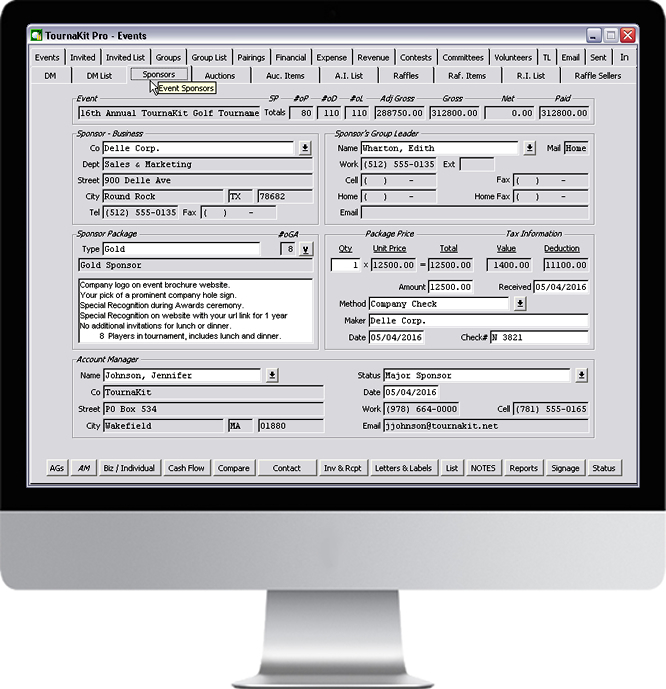 Automated Value calculations streamline financial reporting. 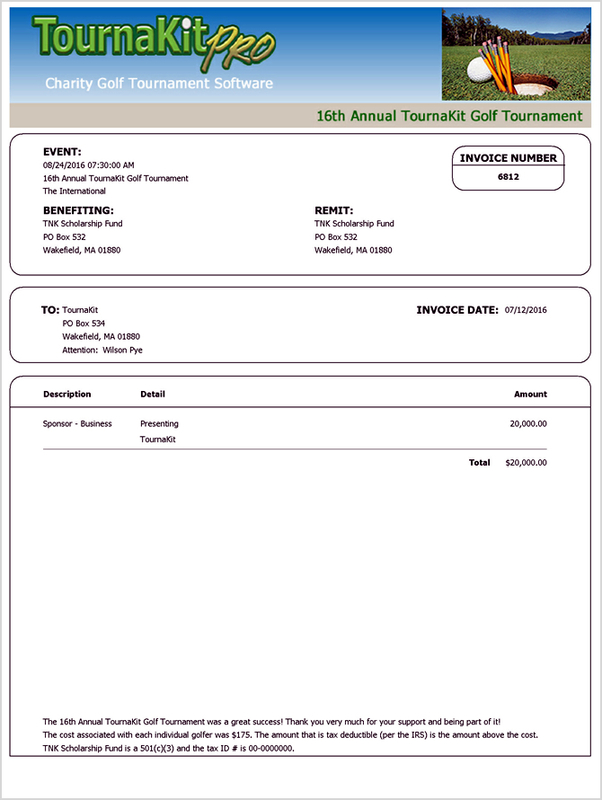 Easily drop an event specific sponsor package into a sponsor's record. All the details and financial information you entered in the sponsor package will be added automatically. 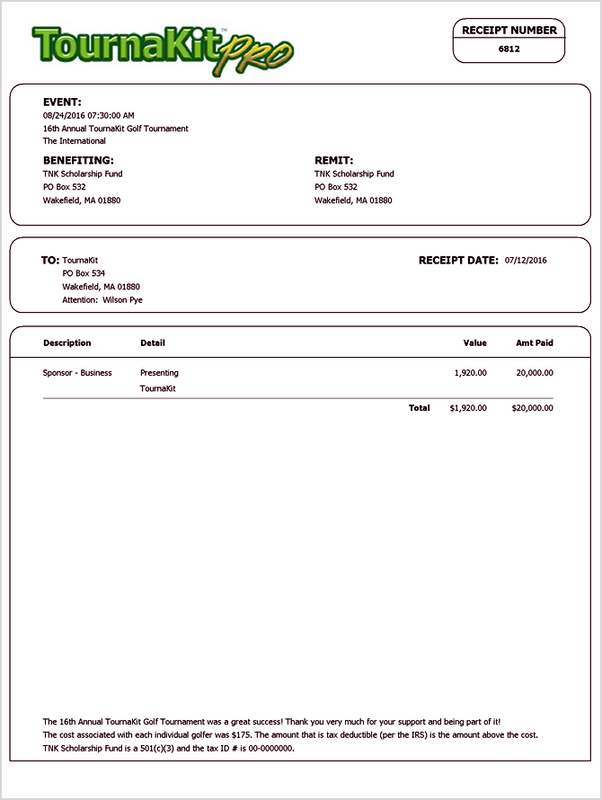 Printing invoices and receipts is simple and fast. 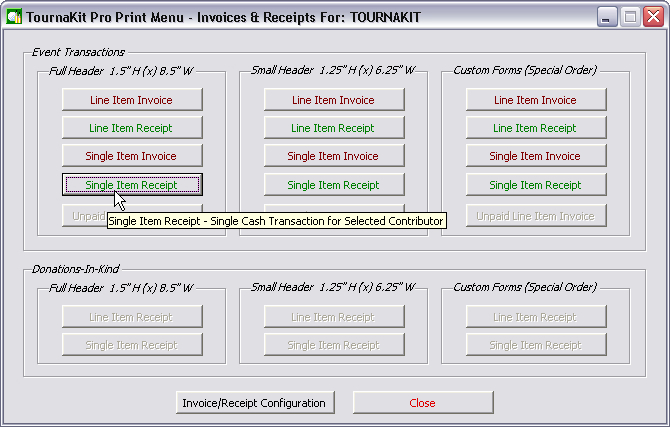 TournaKit Pro provides predesigned invoices and receipts with two header styles making it easy to brand with your graphic images.